want to know my favorite graphic designer? this girl. lisa. the pretty girl behind my little buffalo. you may recall that i've talked about her here. here. and here too. more than likely other places, as well. her talent is limitless and i just think she's a baller. you have probably gathered that by now. her style is fun and a little funky, original, unique, and most of all -- full of color. it also made my year when she made this cartoon of me. i laughed out loud. lisa is giving away, to one of you sweet readers, one free print from her shop! 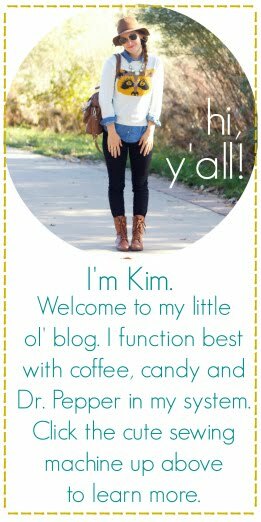 if you're in the market for a new blog look or some personalized stationery, please check out my little buffalo. you won't be disappointed. 1. head on over to my little buffalo & leave a comment with your favorite item from her shop. I love the Bike Petals Print! So cute! Oh I love all of Lisa's designs! too many cute prints! i love the wooden wall art of oregon- i have a friend from there and it would make such a good bday present! love the wooden wall art! Hello 'much love mini cards.' I want you! such a cute little shop of paper goods. adorable. i love all of her prints. 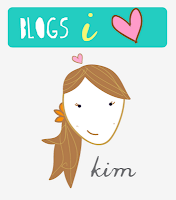 she is amazing, and i am so glad i had her design my new shop logo! I DID NOT REALIZE SHE LIVES IN PORTLAND!!! ahhh, I've probably seen her before at all the crafty events out here! Anyways, the Portland wall art is amazing! Love the bike notecards! Adorable! i love the "raised in a barn" print - too cute! Love the personalized children's print. The birds are so sweet! my fav is "bicycle petals"
I like the bicycle print! I love all of her bicycle prints!! Too cute! So sweet! The tulip stationery is my fav. Lisa does great work! I love the bike petals print! I like the mini cards. love the floral calling cards! The Much Love notecards are my favorite, although I love everything that she does! i'm loving those diaper shower invites! the bike prints are stinkin' cute! the "love you" card is great! The bike print! The bike print! i've had my eye on the raised in a barn print for a loooong time. The bicycle prints are so cute! love the colors! ahhh! the bicycle notecards are sweet! I love them all! Especially the love you cards! Those bicycle prints are so cute! Love the bike prints. so cute! I lover her "I love You Card". i love the Bike Print! Everything in the shop is so pretty! :) I really like the Bicyle Print (with the flowers)! so much cuteness! love the bicycles! I love the bicycle note card! Love the bicycle notecard - her whole shop is adorable! LOVEEE the bike pedals print! Sooo cute! oh my goodness, the love you cards. 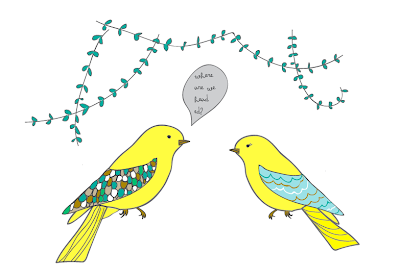 birds + writing cards = happy caroline. I love the floral tree card! Preeeeeeeetty! love the tulip stationary. tulips are my fav! i love her love your memories. I love the personalized children's print! I love the Raised in a Barn print! my fave are the custom etsy banners, because she made mine!!! love love! Love the "bike petals" print! My fave in her shop: Love her Bike Petals Print!